BRIGADIER Gordon Kerr is one of the most high-achieving soldiers in the British army – but he is also one of the most controversial men to have ever put on a military uniform. He is seen as the mastermind of the Dirty War in the North of Ireland – which saw multiple murders carried out by double agents who were working for British intelligence inside terrorists organisation. The machinations of the Dirty War are the stuff of spy novels. In some cases, agents were allowed to carry out acts of terror, including murder, simply to keep their cover inside paramilitary groups. In other cases, officers who ran agents – known as handlers – passed intelligence to their informants which was then used to prepare assassinations. 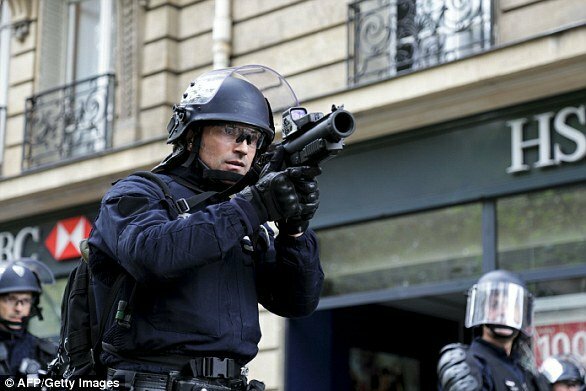 The Force Research Unit which Kerr headed was the key unit involved in running agents. However, it’s a long way from Aberdeen where Kerr was born in 1948 to the back streets of Belfast or the bandit country of south Armagh. After graduating from a Scottish university in 1970, Kerr was commissioned in the Gordon Highlanders – and his talents quickly became obvious. His high level of education, which was relatively unusual for officers at the time, marked him out when he arrived at Glencorse, the training depot for the British army in Scotland, in 1971. Second Lieutenant Kerr – army number 489090 and nicknamed Craigie by his friends – was posted to Cyrpus, and then to the North of Ireland in 1972, at the time when the Troubles were at their most bloody. He was appointed an Intelligence Officer and began his undercover work. Dressed in civvies, he grew long hair to fit in with the civilian population, and drove an undercover scout car which was permanently being resprayed. 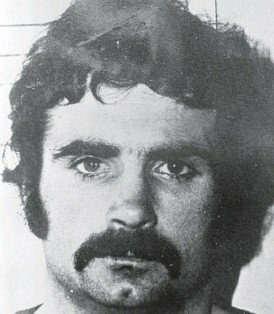 By the time he finished his first tour of duty, he’d helped arrested four leading Provos. In 1974, he was made a captain and posted to the British army’s Intelligence Training Centre in 1975. He was briefly with the ‘Det’ – the SAS-trained 14th Intelligence Company, the forerunner of the FRU – before been sent to the army’s HQ in Ulster and transferring from the Gordon Highlanders to the Intelligence Corp. He vanishes off the map for a while, but by the early 1980s he was a major and posted to Berlin at the height of the Cold War. His job was taking on the Soviet KGB and the East German Stasi. Colleagues from that period found him too maverick, though they still praised him as a brilliant spy. One described him as ‘the spook’s spook’. In Berlin, he was commander of Three Intelligence and Security Company, known as Three I-Spy. Stasi files show that Kerr’s men carried out more ‘flag tours’ – secret intelligence missions – than the French and US military intelligence put together. One officer who served with Kerr said his tactics were ‘pointlessly aggressive’. Men who served with Kerr at the time describe him as ‘drunk with power’ – a brilliant soldier who lived by his own rules and was prepared for the ends to justify the means as long as that was in Britain’s interests. After Berlin, he was a senior instructor with the Special Intelligence Wing in Ashford, Kent. At Ashford, Kerr and his Northern Irish wife – a school teacher who we have chosen not to name – were later involved in resettling British army agents whose cover had been blown in Ulster. In 1987, Kerr, now a colonel, became Officer Commanding the FRU. 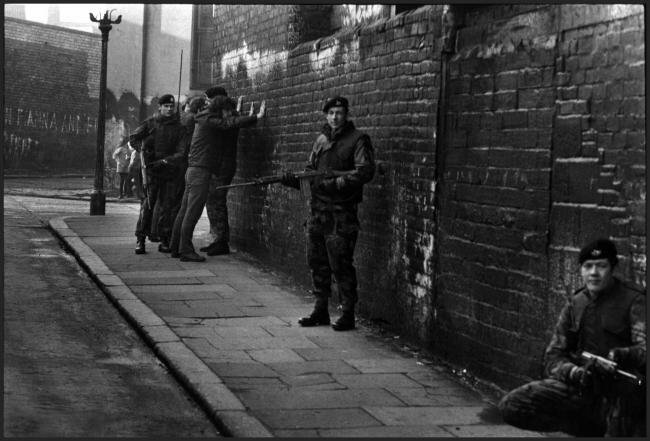 It was then that civilians started to die in Ireland at the hands of loyalist gunmen aided and abetted by the security forces. One of the FRU’s main agents was the loyalist Brian Nelson, a former Black Watch solider who became the UDA’s chief intelligence officer. Nelson was later convicted of 20 charges, including five of conspiracy to murder and sentenced to 10 years in prison, even though Kerr gave evidence for him in court using the cover name Colonel J.
Pat Finucane, a prominent human rights lawyer who represented republicans, was killed in 1989 after alleged collusion between FRU officers and loyalist paramilitaries, including Nelson. Kerr was later promoted to Brigadier. There have been accusations that if FRU handlers discovered one of their terrorist agents was being targeted by rival paramilitaries that they would redirect assassins to innocent civilians in order to protect their informers. There are also claims that the FRU callously allowed agents, who were deemed to have ‘passed their sell by date’, to be captured, tortured and killed rather than help extract them from Ulster. The IRA’s Internal Security Unit, which Stakeknife helped run, is known to have used grotesque acts of torture on those they suspected of being a ‘tout’ or informer. Such torture included sitting victims naked on top of electric cookers. Kerr has what is termed ‘protezione’ – the Mafia word for protection. 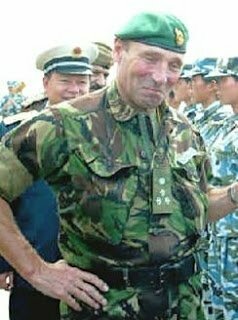 After his time in Ulster, he was made military attache to the British embassy in Beijing – making him the effective joint number two in Britain’s entire military intelligence operation. His promotion would have been approved by the then chief of the defence staff, General Sir Charles Guthrie, who was also Int Corp’s colonel-commandant. After Beijing it is unclear what path Kerr’s career took, though there were rumours he was involved in British military intelligence in Iraq. However, the Herald on Sunday has learned that Kerr has now retired from the army – potentially making it easier for any detectives to question him about the activities of Stakeknife and the FRU. They warn there is ‘no limit on the volume of data’ police can obtain, and it could happen even if charges are never bought. London-based charity Privacy International has highlighted how police access people’s passwords, internet searches and emails without prior permission. 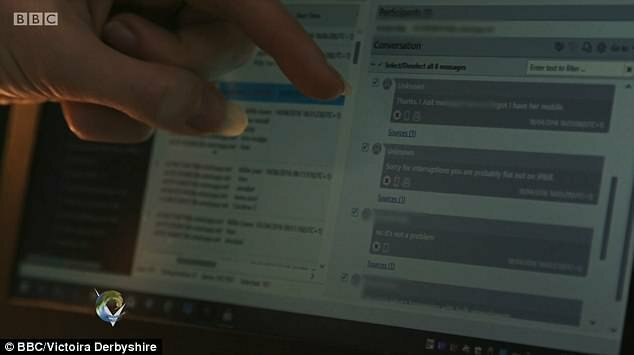 The technology, which was shown on BBC’s Victoria Derbyshire show, is currently used by at least 26 police forces in England and Wales. The decision to download this information is decided on a case-by-case basis, according to the National Police Chiefs Council. However, there was never a public announcement about these police powers. Out of 47 police forces contacted by Privacy International, only eight said they had implemented guidelines on use of the technology. There is ‘no limit on the volume of data’ police can obtain, Millie Graham-Wood, a solicitor at Privacy International said on the Victoria Derbyshire show. WHAT INFORMATION COULD THE POLICE GET FROM YOUR PHONE? 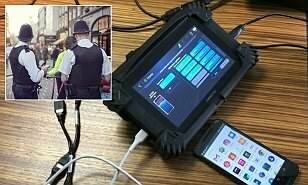 The UK police have a machine that can download your phone data without a warrant in a matter of minutes. 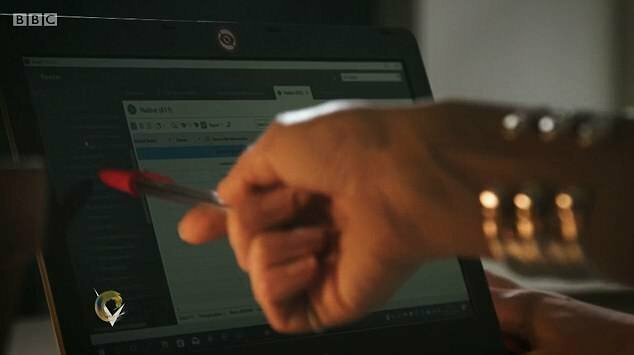 Officers can use a machine to extract all kinds of information, including location data, deleted pictures and encrypted messages. Opposition groups warn there is ‘no limit on the volume of data’ police can obtain, and it could happen even if charges are never bought. The service can take everything of one type off a phone. For example, if a witness’s phone has photos that police want the device can download all images. 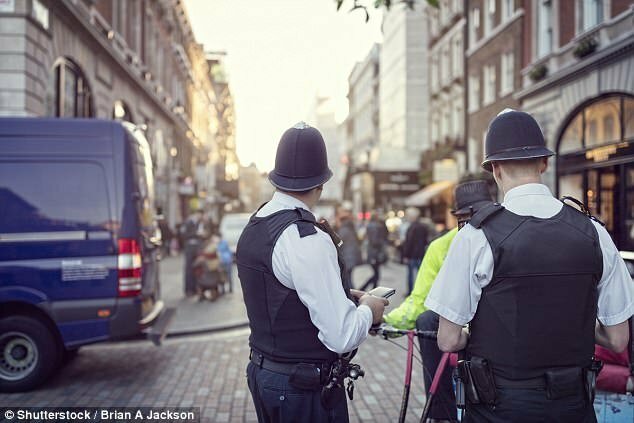 The technology is currently used by at least 26 police forces in England and Wales. The technology is also currently being trialled in Scotland but is not being used in Northern Ireland. In Derbyshire and Wiltshire, the police can even download a phone’s contents without the suspect’s knowledge. ‘The most worrying thing is that this can happen on arrest, even when charges are never even bought’, she said. However, the police have warned that this was ‘just not practical’. ‘In lots of cases, officers need to be able to access what is on a mobile phone very very quickly and to be able to know whether they can arrest the offender to protect the public and to stop other crimes in action,’ said former Greater Manchester Police Chief Constable Sir Peter Fahy. A Home Office spokesperson told BBC that the police needed ‘the appropriate powers to tackle crime’. ‘Current legislation allows data to be accessed when there are reasonable grounds to believe it contains evidence in relation to an offence and only then in adherence with data protection and human rights obligations’, they said. WHAT ARE PREDICTIVE POLICING SYSTEMS? Predictive policing systems can forecast when and where crimes occur using based on prior crime reports and other data. Palantir Technologies has licensed its predictive policing software with local and international governments. Most ingest vast amounts of data, including geography, criminal records, the weather and social media records. From that, it makes predictions about individuals or places that are likely to be involved in a crime, according to the Verge. There are other predictive policing systems out there that are being utilized, many of them are different. which is an algorithm-generated list that singles out people who are most likely to be involved in a shooting. However, many experts have identified issues with Chicago’s heat list. The government-funded RAND Corporation published a report saying that the heat list wasn’t nearly as effective as a standard wanted list. It could also encourage a new form of profiling that draws unnecessary police attention to people. Another academic study found that the heat list can have a ‘disparate impact’ on poor communities of color. A California startup called PredPol also built predictive policing software that’s been utilized by law enforcement officials, including the LAPD. In 2016, researchers conducted a study where they reverse engineered PredPol’s algorithm and discovered that it replicated systemic bias against communities of color that were over policed. It also found that historic data isn’t a good indicator of future criminal activity. The NYPD also had an agreement with Palantir Technologies to use its predictive policing systems. Former government advisor Jonathan Powell has said Brexit is contributing to sectarian violence in the North of Ireland, although he was careful to stress it was not the cause. 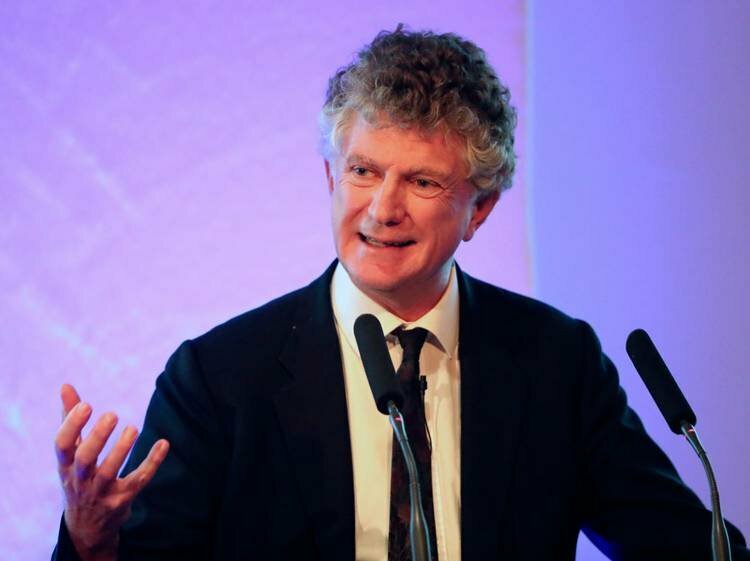 Jonathan Powell worked as Downing Street Chief of Staff under then prime minister Tony Blair from 1997 to 2007 and played a key role in the peace talks that led to the Good Friday Agreement. He told the BBC’s Today programme that Brexit was one of a number of factors leading to increased violence in the North of Ireland. 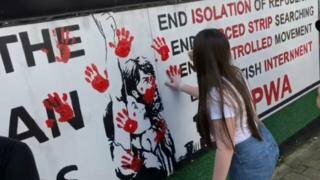 Alban Maginness: Foster’s healing moment at rally for Lyra has the potential to melt permafrost in Executive “I think it would be quite wrong to say either the political crisis in the North of Ireland – the institutions having fallen over and not being put back up again, the essence of the Good Friday Agreement – nor Brexit caused this,” Mr Powell said. Mr Powell said further violence could be prevented if the Government take action. “If we (the Government) took stupid steps this could lead to a real crisis,” he said. “I don’t believe for a second the British Government will do that, but the fact the political crisis is out there – both Brexit and the failure to put the institutions up again – is a real problem and that is a tinder for this kind of violence. Following the murder of Lyra McKee in Derry City last Thursday Mr Powell dismissed the New IRA as “pathetic” and with little support from the community. “This is a pathetic little group that has very little capacity,” he said. “It isn’t really a threat to the long-term peace in the North of Ireland – it’s not like the IRA in the bad old days. “The IRA – Sinn Fein used to get 30% of the Catholic support in the elections at the height of the Troubles, so they had real and genuine political support. They represented a real strand of opinion in the North of Ireland. 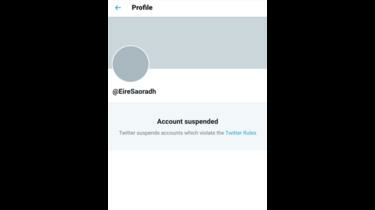 Social media giants Facebook and Twitter have suspended the accounts of the dissident republican party Saoradh. Saoradh, which translates as liberation in Irish, has the support of the New IRA. The paramilitary group carried out the murder of journalist Lyra McKee, whose funeral takes place on Wednesday. Paddy Gallagher, spokesman for Saoradh, said that the party was aware the accounts have been suspended. He added that there would be “no comment”. According to its terms of service, common reasons for suspending a Twitter account include spam, account security at risk and abusive tweets or behaviour. Thousands of former members of the security forces are to take part in a massive day of commemorations in Co Antrim to mark the 50th anniversary of the arrival of troops on the streets of the North of Ireland, a deployment which started the armed forces’ Operation Banner. Upwards of 5,000 veterans are expected to remember the 2,400 men and women that the Northern Ireland Veterans Association (NIVA) say died during the Troubles. Their figures include service personnel who were killed by terrorists and those who died in accidents, by suicide or as a result of stress-related illnesses. The detailed plans for the day of remembrance will be unveiled soon at a news conference, but the Belfast Telegraph can reveal that the event will be staged in the garrison town of Lisburn. 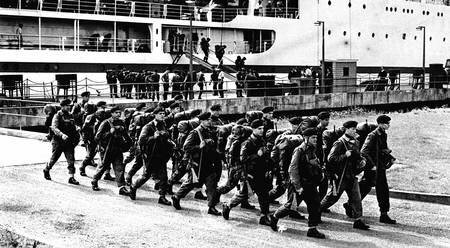 It was the headquarters for the longest continuous campaign in British military history after troops were sent into the North of Ireland in August 1969 to cope with growing sectarian unrest. What was described as a ‘temporary and emergency move’ lasted for 38 years and only ended in 2007, long after the ceasefires by the IRA and loyalist paramilitaries. Folks, the gentleman below has been missing since Sunday night, early hours of Monday morning. He was alleged to have been at a party Sunday day time, I’m reaching out for anyone that might know him or was at said party, any information you may have, be it big or small, PLEASE GET IN CONTACT. The only information we have to go on is he was last spotted supposedly on the Glen road where the forest is heading towards the top of poleglass direction, His last know address was a flat on the Suffolk road….